The intertwined stone rings in this sculpture offer a puzzle to the mind, asking to think in new ways about shapes and ideas. Of course, we use rings to symbolise connections that cannot be broken. 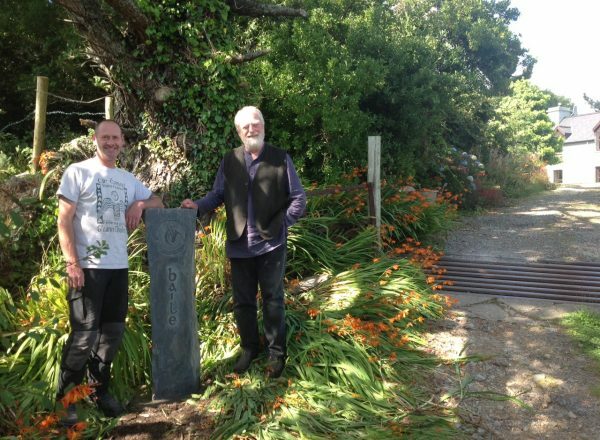 In theory, we think of stones as symbolising permanence too. 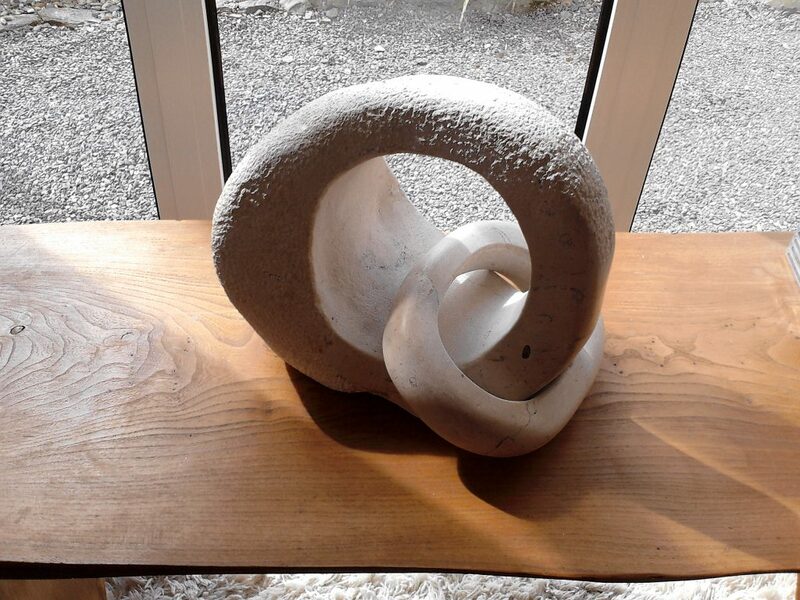 Still, the fluid shape of the ring is at odds with our other ideas about stone, which we can sometimes dismiss as being rigid, inflexible and unforgiving. In this sculpture, stone takes on the smooth, fluid properties of the ring. Meanwhile, the ring takes on the solidity and permanence of stone. It’s an intriguing piece of abstract sculpture, but it remains a very accessible piece too: the puzzle about how the stone links are connected to each other keeps everyone’s eyes and minds absorbed. This stone and leather chair is a unique piece created for a private commission. 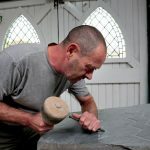 It’s an unusual way of bringing traditional stonecraft into the domestic space, and it is a real talking point in its new home! The Celtic knot design, familiar to many from the illustrations used in the Book of Kells, remains a design classic. Here the intricate, interlaced design is dramatically juxtaposed with the strength of stone . 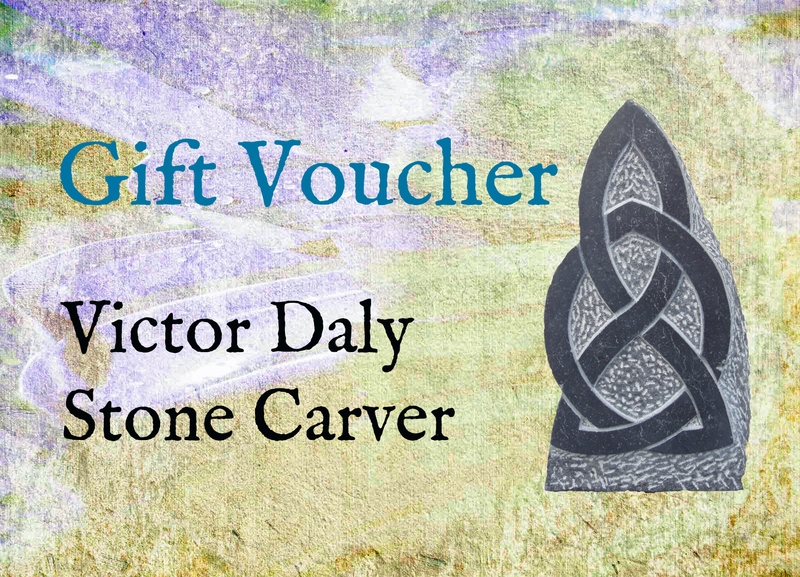 Victor learnt his craft as a stone-carver when he was apprenticed into a family who had passed their skills down from generation to generation. 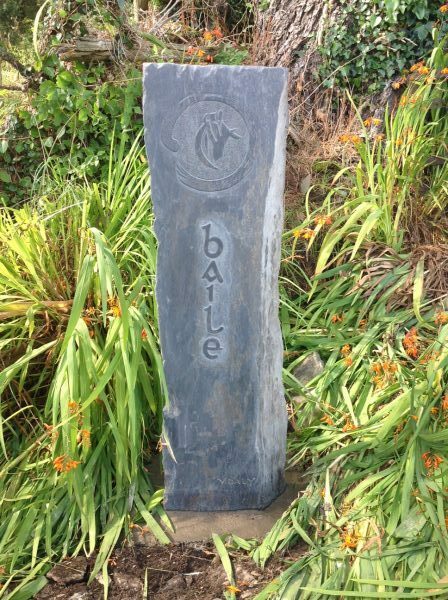 He was the first person from outside the family to be trusted with those skills, and so this sculpture reflects the unbroken traditions of stone-carving and design in Ireland.